Legal advice is being sought to ensure the Corinthia contract does not breach state aid rules, Konrad Mizzi said as he rejected suggestions the company was given gratuitous discounts. The Tourism Minister insisted on Tuesday that the discounts given to Corinthia as part of a concession agreement were linked to a reduction in the rights the company already enjoyed on the land. An anonymous business group Foresite has raised the prospect of a breach of state aid rules and warned it would be ready to legally challenge the deal. Mizzi said he did not know who the people behind the business group were or what their interests are. “I cannot tell you who Foresite are because it’s their Maltese law firm that reached out to us on their behalf. We are dealing with an anonymous group. I don’t know what their interests are,” Mizzi said. However, he did confirm that government was seeking legal advice on issues linked to state aid raised by Foresite. Mizzi said as things currently stood, Corinthia could fill the entire St George’s peninsula with hotels since they have no restrictions. The company already owns three hotels on the site. “Corinthia were not compensated. Let’s remember that Corinthia weren’t purchasing property here but had a claim on the land already with existing rights. If we want, we can leave everything as it stands for the next 70 years,” Mizzi said. Corinthia want to build luxury residential units on the land but to do so their existing concession has to be amended through a parliamentary resolution. As things stand, the land can only be used for tourism purposes. Mizzi claimed that the new deal being negotiated reflects an agreement between the government and IHI, a Corinthia subsidiary, to regenerate the St George’s peninsula. The ‘discount’ of €33 million from the premium Corinthia would have to pay to get the residential waiver is not a discount, Mizzi insisted, but a reflection of the new restrictions government was imposing on the group. 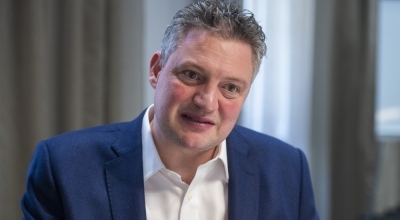 “Deloitte calculated land value and granted credits to Corinthia’s existing concession,” Mizzi said, adding that talks were still ongoing with IHI and that all genuine concerns will continue to be addressed. The discounted price tag has raised the heckles of developers, who fear a flood of luxury apartments on a prime site that would have been obtained on the cheap. 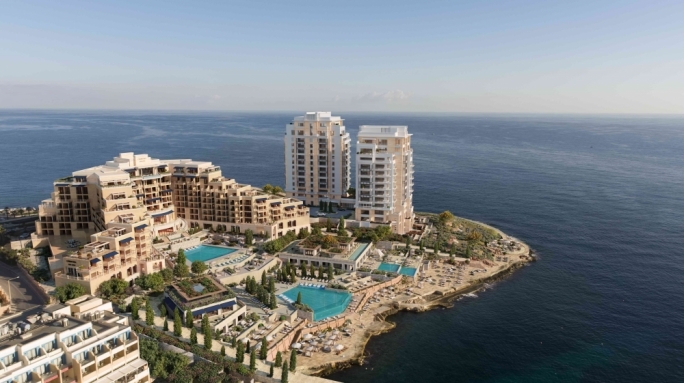 Foresite, with an alleged interest in developing the so-called ‘Golden Mile’ in Paceville and St George’s Bay had written to Maltese MPs to stop the transfer of the 99-year lease to International Hotel Investments. Mizzi said a parliamentary committee scrutinising the deal was listening to all stakeholders and addressing genuine concerns. “In fact, the foreshore issue and the land reclamation issue have already been dealt with. Corinthia will not partake in either of these. Addressing the Malta Developers Association’s concerns, we also made sure that Corinthia wouldn’t release more than 25,000 square metres of real estate at a single point in time so as not to flood the market. We also made sure that Corinthia don’t go into a unilateral agreement allowing them to sell any part of the project,” Mizzi insisted. Talks between the government and Corinthia are ongoing. Once discussions and the contract are finalised the proposed deal would once again be brought to the attention of stakeholders and the parliamentary committee, Mizzi said.